Some manufacturing processes may be so minimal, that an off the rack approach may work well mechanically and financially. However, when it comes to complex manufacturing processes, opting for ready-made material handling equipment could compromise production, worker safety, and the product. While custom material handling equipment could cost more up front, you will end up saving much more in the long run by avoiding the expenses associated with damaged parts, injured workers, decreased production, and more. 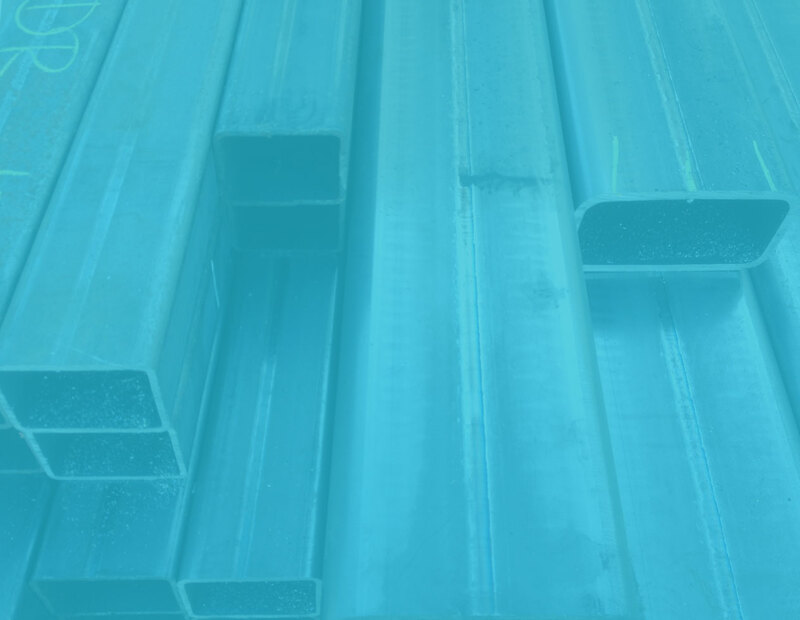 The case study below reviews how one manufacturer utilized custom material handling equipment to help prevent common manufacturing problems and enhance their overall manufacturing process. An Industrial Ring Manufacturer utilizes multiple warehouses for assembling large rings. During an annual quality control evaluation, they discovered that 10 percent of the rings were being discarded due to damage from excessive movement on the multiple assembly floors. 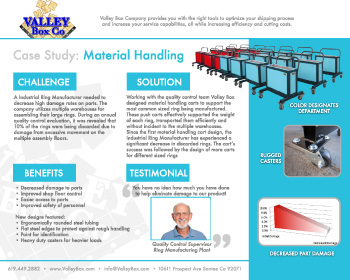 In collaboration with the Manufacturer's quality control team, Valley Box engineers designed material handling carts to support the most common sized ring being manufactured. The push carts effectively supported the weight of each ring and transported them efficiently and without incident to the multiple warehouses. The carts were designed with operator safely in mind with ergonomically shaped handles, high-end casters, and waist high operation. Once the material handling carts were implemented, the Industrial Ring Manufacturer experienced a significant decrease in discarded rings. Other added benefits included improved shop floor control, it was easier for their workers to organize parts. The employees now had easier access to parts which improved worker safety. If you want to improve worker safety, increase productivity, and decrease damage to parts, consider investing in custom material handling equipment. Smart manufacturers agree that your investment will quickly pay off! Want to learn more? Check out Valley Box's article "5 Reasons To Use Material Handling Fixtures".